My Video Wish For 28/02/19 - "We're All Going......"
Hello and many apologies for the lack of posts recently but I have been away and only got back late last night so here is the latest video for you at least. 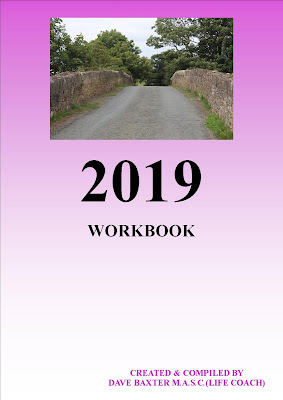 My 28 page 2019 Workbook containing lots of Personal Development tools is now on sale. The cost is £12 + shipping (payable via PayPal). To order a copy please contact me. "Sorry I didn't get round to fully utilizing the e-book but please know that just reading it helped massively........... just needed a push and the book did that so thank you"
If you would like to know more about the blog or my therapy work etc, then please email me. Follow the link to join our Facebook page Under Blue Skies this page is host to a group of like - minded people (affectionately knows as "the tribe"). It would also be fantastic if you would spread the word about the blog, the tribe etc. to your friends and family. To subscribe to the blog please go over to the right hand side of this page and click the button that says “Follow”. Once you do that you will be added to our list of subscribers. We send out a daily email containing an Inspirational Phrase. However, to ensure that we comply with the relevant regulations this is a subscription only service. When you have subscribed the phrases will be delivered to your mail box every day at no cost to you whatsoever. Have a fantastic day, live a life of Passion and Power. Video Wish for 24/02/19 - "He Who Composes....."
You Are Not Who You Think You Are! Hi and welcome to the Under Blue Skies. This week’s post is a compilation of things we could look at in our lives to make some major improvements. So let us start our title statement – You Are Not Who You Think You Are! This is not just my own thinking! But, it is a truism that you need to know who you are – not just how other people see you. If you don’t know who you are it is very likely that you will be jumping onto every new trend that comes your way, you might be spending numerous Friday evenings attending social meet ups that you did not want to go to anyway, or spending hours on a tread mill at the local gym and yet deep inside you are continually feeling dissatisfaction. BUT once you know who you are you are actually one step closer to becoming conscious. You need to know who you are before you can find a partner whose traits and actions are complimentary to your own. The same is true if you are looking for a new job. You need to be clear on who you are so that you can determine what sort of job to look for and what you are prepared to do to get it once you have defined it. And again once you know yourself you can decide which of your friends you don’t actually want to associate with then you can take steps to remove them from your circle and spend more time with the people you do like. 1) What would you do if you only had a fixed time left to live? If you imagine that your life were coming to an end in a matter of weeks, months or years what would you do if you knew that you did not have an unending supply of time. What would your purpose be and what would you do to see it through. What would be the things you would rush to make sure you did before that time came? 2) Take some time out and think about the people you have had the most genuine and strongest feelings for. What have you got in common? What is it about them that you seek that you don’t have in yourself? 3) What things do you feel you could be interested it? Life is not about creating yourself, it is actually about unveiling yourself. If you find something is “awesome” try it for yourself! You may actually discover that you have hidden talents. There are many things you could try including classes, studying tutorial videos on You Tube because you will never know what you can do if you don’t try! 4) Who are you when you close the front door on the world? What do you think? What are your real opinions? What do you say about other people? What do you enjoy doing when there is nobody there to watch you? What clothes are you comfortable wearing? Consider the person behind closed how far removed is he or she from the person other people know. Can you close the gap? 5) If you did not NEED money to survive how would you spend your time? 6) What Qualities Do You Admire In Other People? 7) What Bothers You Most About Other People? Truth be told what bother you about other people is what bothers you about yourself and shows you what you cannot come to terms with about who you are. Do you seem to encounter the same things in all your relationships with other people? Do you feel that everyone you have known has treated you the same way? Consider all the friendships and relationships that have ended. Have you just put it down to bad luck or that they are ill fated? The one factor running in common with them all is – YOU! 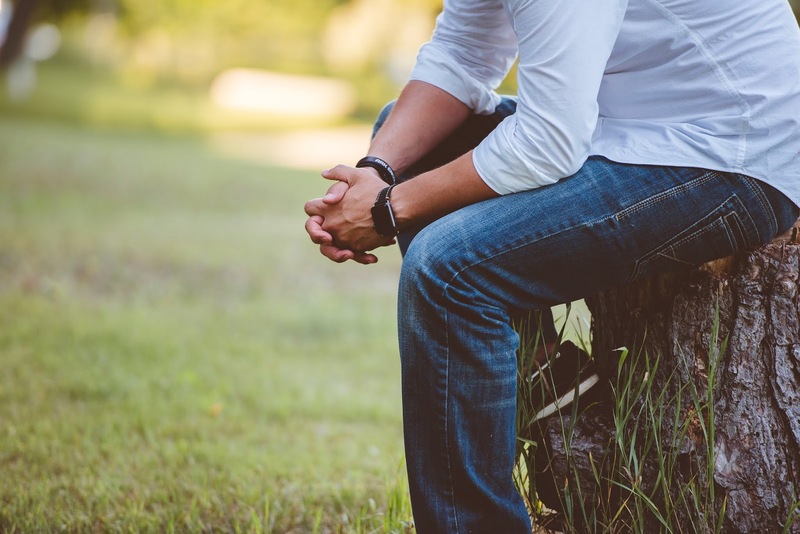 It is time for a long hard look at these relationships – because to be able to move into relationships you want you have to work out why you don’t yet have them! 9) Check Out The Physical Space! Look at the things you keep in your space, do you see repeating patterns, colours, types of products, the clothes you choose, the products you use? The things we surround ourselves with (consciously or unconsciously) define who we are and when those things are cluttered or disorganised that speaks loudly about you! This opens the door to self evaluation and if there is anything that does not align with your life it is time to make a plan to get rid of it. This sort of work is very valuable because it can, and does, help you to change your life. So once you have completed the above steps you should find that your life is very much different to the way it is today.